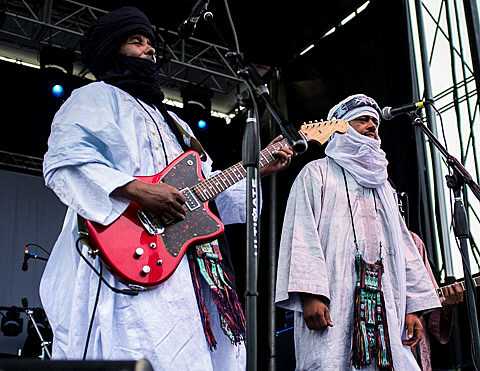 Saharan blues band Tinariwen are currently on tour throughout North America in support of their new full-length album Emmaar (Spotify, Rdio). As discussed, that tour includes a pair of shows at City Winery Chicago on April 5 — 7:30PM & 10PM. Advance tickets are still available, and we’ve also got a few pairs to give away for each one! Tweet something that includes @BVChicago, “Tinariwen”, AND “City Winery Chicago” in the tweet, or send an email to BVCONTESTS@HOTMAIL.COM with the subject line “Tinariwen at City Winery Chicago”. Please specify which show you’d like to see. We’ll pick winners at random and contact them with more details. Good luck!